See and hear of the High and Far-Off Times when the world was new-and-all! Audience at our Cayuga Park show, August 3, 2014. Photo by Serena Morelli. Get ready for our Summer Tour aboard FluxWagon! 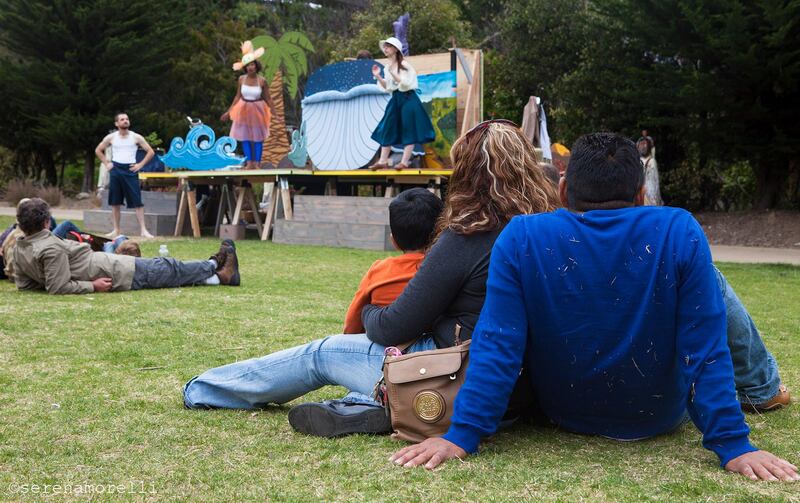 O Best Beloved tours Bay Area public spaces through Sept 14, 2014 with free public performances! We need your support to help cover gas and expenses, and to pay our very talented ensemble. Every little smidgen is ever-so-gratefully accepted. Can you help? Donations are tax-deductible via our fiscal sponsor, Independent Arts & Media. Like O Best Beloved on Facebook! Enter your email address to follow this site and receive newsy notifications of Best Beloved updates by email. Follow The Professor on Twitter!